If it’s the greatest snow on earth and no one is around to enjoy it, did snow even fall? Sure, that doesn’t quite roll off the tongue, but the point is still valid. Utah is home to the greatest snow on earth. More than a tagline, it’s reality. Utah boasts incredible skiing and snowboarding opportunities, with resorts across the state. Thousands of tourists flock to the slopes each winter, and thousands more Utahns enjoy the beauty available in their own backyards. But are your kids getting in on the action? Skiing is a sport that can be enjoyed from early childhood into late adulthood, and the earlier it’s introduced, the easier it is to learn and love. 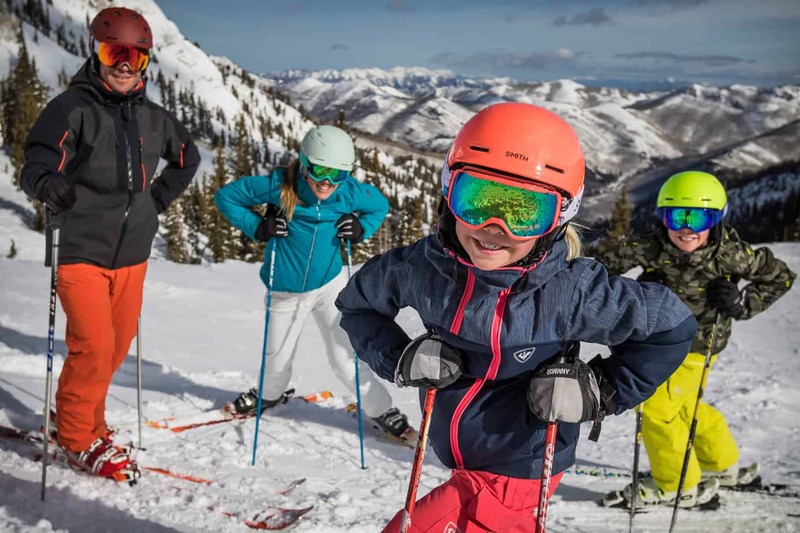 And it’s easier than ever to start your kids with a lifelong love of skiing or snowboarding with Utah’s skiing program available to 5th and 6th graders. Every 5th and 6th grade student in the entire world can use this pass at 13 different ski resorts in the state, 10 of which are within an hour of the airport! 5th graders get 3 days (39 days total) and 6th graders get 1 day (13 days totally) at 13 Utah resorts all for a processing fee of $45. The program is even easier now than in years past. It is now completely digital! You don’t need any physical collateral to redeem your day tickets – children go up to the resort window, give their name and birthdate, the resort employee looks them up and they are ready to go! Quick and easy. Not only is this an incredible deal, it’s a golden opportunity to teach your kids some valuable lessons about life, the outdoors, the state, and staring down—and conquering—challenges. I grew up skiing. I loved the thrill of rushing down the mountain and appreciated the efforts my father went through to make sure his kids knew how to ski and could do it confidently. My husband, on the other hand, grew up in Utah but didn’t ski until after we were married. In fact, our oldest daughter skied before he did. While he enjoyed the experience, he found it challenging and wished he’d started years earlier so he’d only have to deal with a bruised tailbone instead of a bruised tailbone and bruised ego from falling so much. Even still, he recognized the excitement of the top winter activity in the state. My oldest daughter loves skiing. She had one ski lesson and caught on quickly. She advanced from the bunny hill to the actual slopes without any hesitation. It’s a skill and hobby she enjoys, even if she doesn’t get to go as often as she would like. What’s particularly interesting about my daughter and her love of skiing is her approach to it. This daughter is rather cautious and nervous about things. She’s always eager to try something… until she gets to the moment of truth. The diving board, large waterslides, roller coasters—they all excite her and terrify her. She wants to feel in control and the less control she has over a situation, the more she fears it. When I first took her skiing, I wondered how her excitement/fear interaction would play out. I was amazed at how little fear she had. Taking that ski lesson gave her the understanding she needed to feel in control. And the more runs she did, the more her confidence grew. Whether she fully realized it or not, it helped her realize she can do hard things and have fun doing them. That’s a lesson that kids need to help them in their lives. And allowing them to learn that lesson in a safe, controlled, and fun environment is a win. Utah is without a doubt one of the most beautiful states. Everywhere you look there’s a stunning geographical feature. And it makes for incredible adventure year-round. But if you’re not into winter sports, the winter can seem a drudgery that lasts a good chunk of the year. Rather than bemoan the next snowfall, get your kids out into the next snowfall. Try out different resorts and talk to your kids about what they observe. Point out the different trees, landscapes, and wildlife. Help them develop an appreciation for the great outdoors. As kids learn to love the outdoors in the winter, it’s an easy transition to help them extend that love of the outdoors to summer outdoor destinations as well. And the more time spent outdoors, the better. It means they’re exploring, trying out their sense of adventure, and leaving the electronics behind for a change. In an age when our connection to our community seems to be waning, it’s more important than ever to help develop connections to others. Skiing and snowboarding can help make that connection. When you’re on the mountain, you’re part of a community of people who are passionate about the same thing. It’s a commonality that brings people of diverse backgrounds and experiences together. While experience levels may vary, I’ve always found people to be supportive and encouraging. 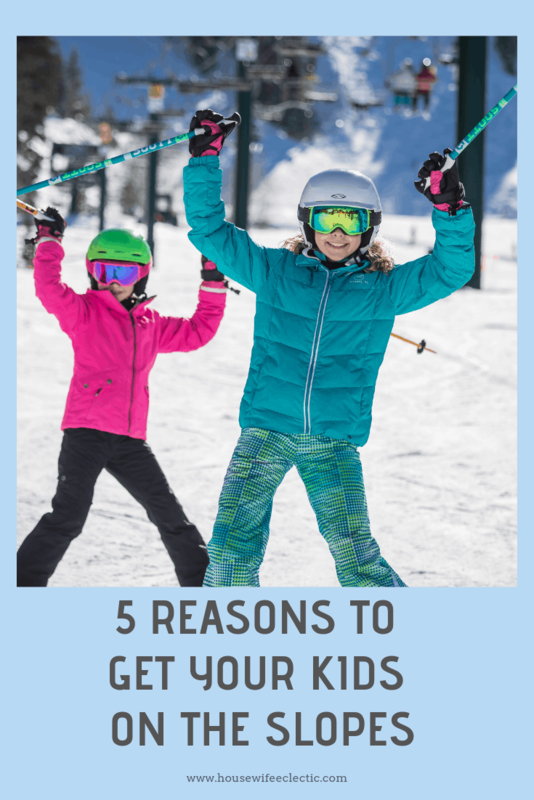 The more kids develop a love for skiing and try out different resorts, the more they’ll see of the state and the more they’ll come to love it. Utah really is an amazing place and helping kids recognize that will help them become more responsible citizens. Finally, ski passes make it easier for families to spend time together. Let’s be real: planning and doing family activities can be difficult. Whether it’s juggling schedules or finding the funds to do an activity, it’s tough. But having a ski pass and an eager 5th or 6th grader makes it easy to figure out what to do on the weekend. As the whole family gets involved, it helps kids feel connected to the activity and makes them want to do it more. Sure, in a few years they’ll be teenagers and will probably want to go with their friends instead of you, but you’ll have all those experiences together to enjoy. Plus, you’ll feel a little more at ease knowing they have experience on the slopes. Kids aren’t the only ones who can experience a great deal on the slopes! 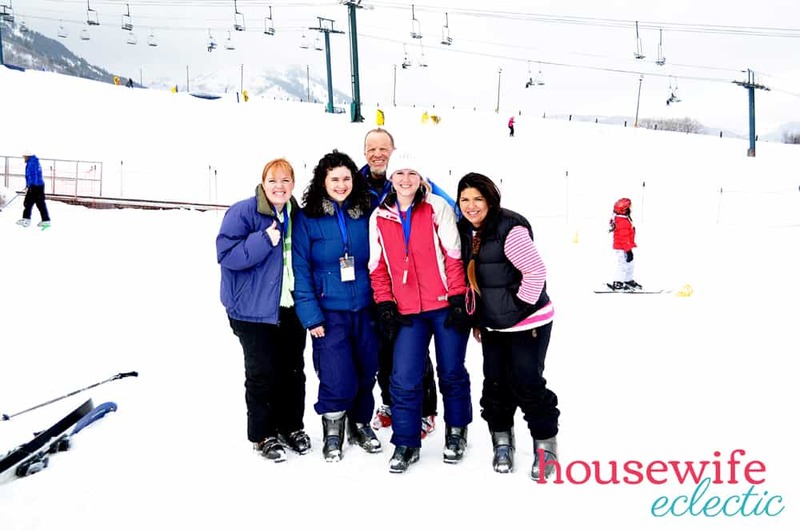 Ski Utah has partnered with partners all over the slopes to bring you discounts to enjoy skiing with your kids. Skiing really is a blast. And I’m so excited that Utah has this program for kids. I’m making sure my kids take full advantage of this. And I think you should too. So what are you waiting for? 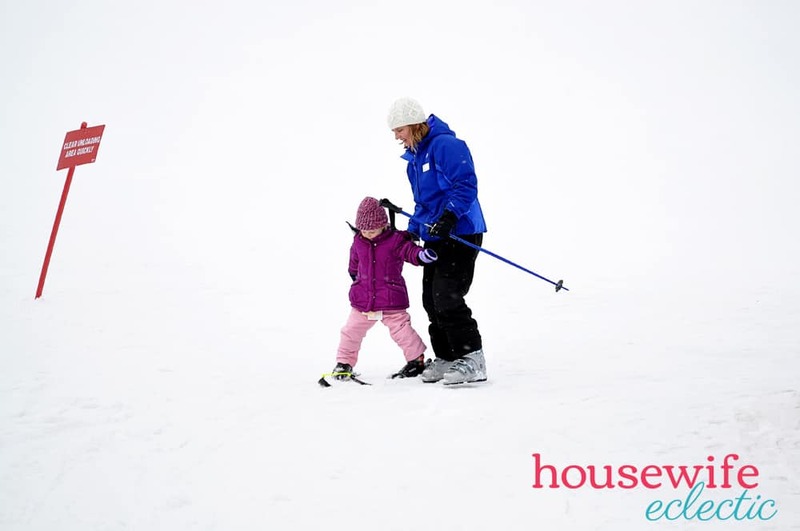 Get out there and enjoy the slopes and this winter with your kids! Disclaimer: Compensation was provided by Ski Utah via Momtrends. The opinions expressed herein are those of the author and are not indicative of the opinions ofSki Utah or Momtrends.